Pennsylvania has yet to debut its legalized real-money online gambling services, including online poker, but when that day comes, one of the sites expected to be dealing virtual cards from Day 1 is PokerStars. Stars’ parent entity in Pennsylvania, TSG Interactive Services U.S. Limited, was one of two third-party service providers to receive conditional approval from the Pennsylvania Gaming Control Board (PGCB) this week. PokerStars, working in partnership with Pennsylvania’s Mt. Airy Casino, will be one of approximately seven online sites available in Pennsylvania once the state’s sites go lie for real-money play. That’s expected to occur at some point in early 2019, as the state’s slowish process with putting its regulatory framework in place continues. 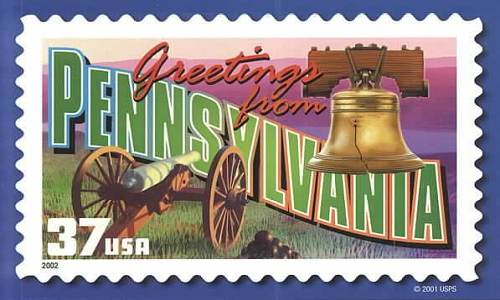 Pennsylvania will serve as a good test for the lasting power of the PokerStars brand name. Mt. Airy is one of Pennsylvania’s middle-tier casinos in terms of overall revenue. Mt. Airy’s revenue is much smaller than the largest casinos in the state, Parx, Sands Bethlehem, and The Rivers, and also usually trails Mohegan Sun, Penn National, Harrah’s Philadelphia, Sugarhouse, and The Meadows, thus ranking only ninth in GGR among the Keystone State’s 12 casino properties. Yet the partnership with PokerStars and The Stars Group will likely make Mt. Airy a leader in the state’s online-poker segment, though what remains to be seen is how large a share online poker can grab, relative to slots and table games and sports betting and the like. In neighboring New Jersey, it’s been a good news/bad news tale: PokerStars partnership with Resorts Casino AC is strong within New Jersey’s online-poker segment, but that segment remains tiny (and continues to dwindle) relative to that state’s other online gambling offerings. Multi-state compacts offer some hope of improvement for online poker, and Pennsylvania’s approval allows for such deals with other states, but nothing is in place as yet and any live date would be further in the future. The Mt. Airy / PokerStars marriage is also expected to include the rollout of the BetStars brand in Pennsylvania, in particular when Pennsylvania’s recently enacted sports betting also goes live online. That’ll also be worth a watch, since the BetStars brand has no previous history in the state. While gamblers love one-stop-shop services, BetStars will be up against several entrenched brand names in the state, and any lagging effect will be interesting to observe. Still, PokerStars getting approval in Pennsylvania is a big deal. It represents another step in the slow return of the PokerStars brand to the US, now seven and a half long years after Stars was forced to exit the US market in the wake of the April 2011 “Black Friday” crackdown targeting Stars and three other offshore, US-facing sites. PokerStars officially returned to the US in 2016, when it finally received that approval in New Jersey, that after a two-year application suspension and delay. And elsewhere, in other US states such as Nevada and California, the “bad actor” argument has been flung out not only to keep PokerStars from reentering the US market, but also to keep some states from legalizing and regulating online gambling and online poker at all. 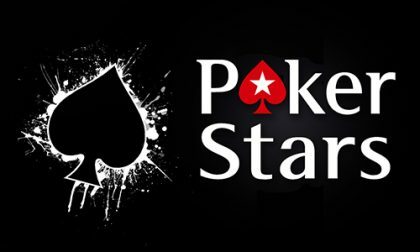 It’s been an uphill fight for PokerStars, even after its change of ownership from the old Rational Group days to today’s The Stars Group.